This entry was posted in Country, People, Questions/Answers, University on October 28, 2016 by Stephanie Winterhalter. Traveling to Kenya meant exploring a completely different culture. 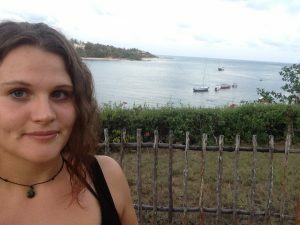 In this post I would like to give insights into my personal experiences of my first, 1-week-stay in Kenya. 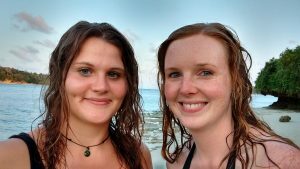 This entry was posted in Country, Empowering Young Women and Girls Project, People, Questions/Answers, University on October 18, 2016 by Simone Martin. 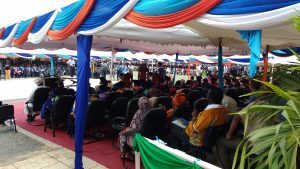 It was a lucky coincidence that during our stay in Kenya, PWANI university celebrated the 4th graduation ceremony. About 8.000 guests were expected to celebrate the graduation of over 1.000 bachelor and master graduates. This entry was posted in People, University on October 12, 2016 by Simone Martin. During the summer semester 2016 we have been working on two projects that support the Empowering Young Women Project in Kenya. 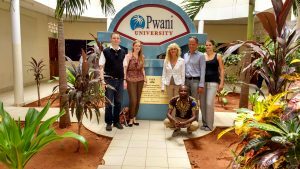 Through the initiative of our professors, Prof. Sissi Closs and Prof. Dr. Michael Tewes, we got the chance to travel there in September 2016, to present our project outcomes and to continue the project work with the local university. 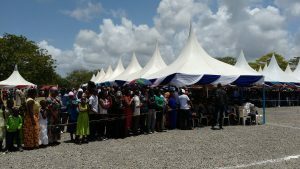 In this blog we would like to share our experience from this impressing excursion to Kenya. We both are students at University of Applied Sciences (Hochschule Karlsruhe für Technik und Wirtschaft) in Karlsruhe, Germany and study in the master programme Communications and Media Management. It was the first time for us to visit Kenya. My name is Stephanie Winterhalter. I’m 25 years old and come from Nürnberg. My name is Simone Martin. I’m 26 years old and come from a village called Biberach located in the black forest. Our journey group consisted of five people. Our professors, Prof. Sissi Closs and Prof. Dr. Michael Tewes who initiated the trip, Sissi Closs’ husband Reent Bruns and the two of us. In Kenya we met Sifah, a friend of our professors and project coordinator of the Empowering Young Women and Girls Project. He guided us all along our trip. But why did we travel so far? Not for holidays. During the summer semester 2016 we have been working together with some other students in two projects for the Empowering Young Women and Girls Project, led by Uwezo Development Initiative. 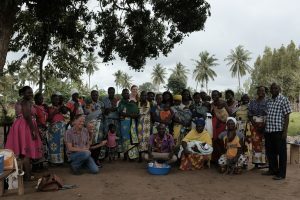 The project is located in Kilifi, at the east coast of Kenya. The project empowers young women and girls who are vulnerable and marginalized in their society due to their early pregnancies. Within the project the women are given workshops in which they learn basic skills about health, hyigene and entrepreneurship, e.g. how to set up their own business and to deal with soft loans. The aim is that they are able to live an independent an self-determined life. One study project was aimed to win sponsors for the project (you can see the result here). In context with the other study-project we provided material, that could be used in the workshops for teaching, like a series of posters to several topics, combined with worksheets for the women. There were two reasons why we travelled to Kilifi, Kenya. First, we wanted to show our outcomes and hand the posters and worksheets to the organizers of the Empowering Young Women and Girls Project. 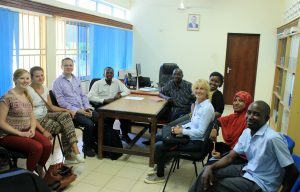 Second, we wanted to establish a collaboration between our university and the Pwani university in Kilifi to support the project furthermore. This entry was posted in Country, Empowering Young Women and Girls Project on October 1, 2016 by blog-admin.